FILE- This Feb. 15, 2018, file photo shows a Ford logo on the grill of a car on display at the Pittsburgh Auto Show. 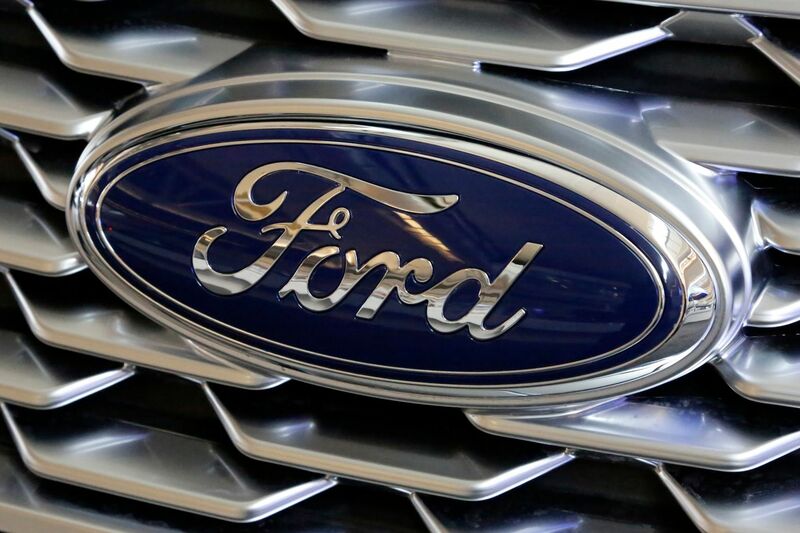 Ford Motor Co. is repackaging a previously announced manufacturing investment in the Detroit area and now says it will spend $900 million and create 900 new jobs over the next four years. Most of the new workers will build a new generation of electric vehicle at Ford’s existing factory in Flat Rock, Michigan, south of Detroit, which will see an $850 million investment. (Bloomberg) — Ford Motor Co. plans to spend about $900 million and hire about 900 workers to build electric and self-driving vehicles in Michigan, while moving production of a small commercial van to Mexico from Europe. The United Auto Workers union, which is entering contract negotiations with more than 150,000 workers at Ford, GM, and Fiat Chrysler Automobiles NV, praised the new investment.